It was two years since our last vacation. That meant I hadn’t seen my mother and siblings in that long. The situation with work and moving my mother-in-law down here kept getting in the way so it was nice to have a chance to get away. Our first getaway was to Branson. This was a first for us. 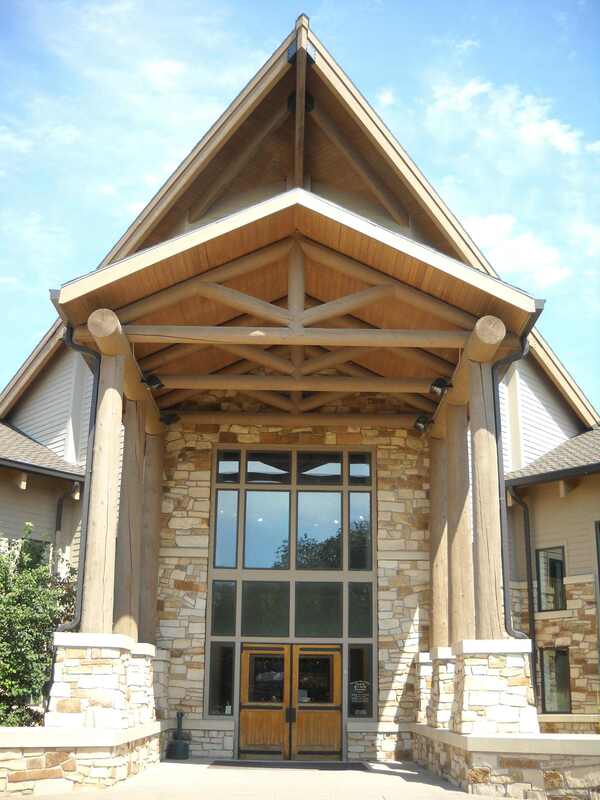 Jim’s uncle let us use his timeshare for a week. I couldn’t imagine being in a place for that long without it being at a relatives but we managed to do it. We went to craft malls, several shows and tried out different restaurants. Our second trip was to Wisconsin to see my family by way of Minnesota. We spent about two weeks there. We went to an Amish store and bought bulk foods and visited with a rug weaver. It got me feeling like getting my loom going. We brought my mother back here and she spent almost two weeks here. I tried finding things for her to do. 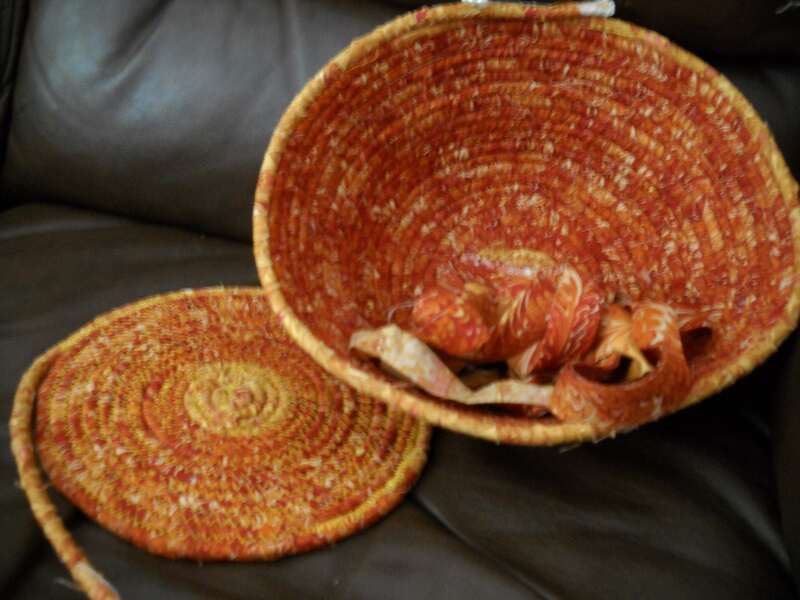 I took her rughooking with me one day and took her to a sewing class to learn how to make a coiled basket. She started a quilt top and seemed to have a good time. About a week ago, we all piled in the van to go to a wedding in Omaha. The next day it was back in the van for Wisconsin to take her back home. It is a long trip so we tried to find interesting stops to break up the trip. The basket Mom sewed in the class we took. 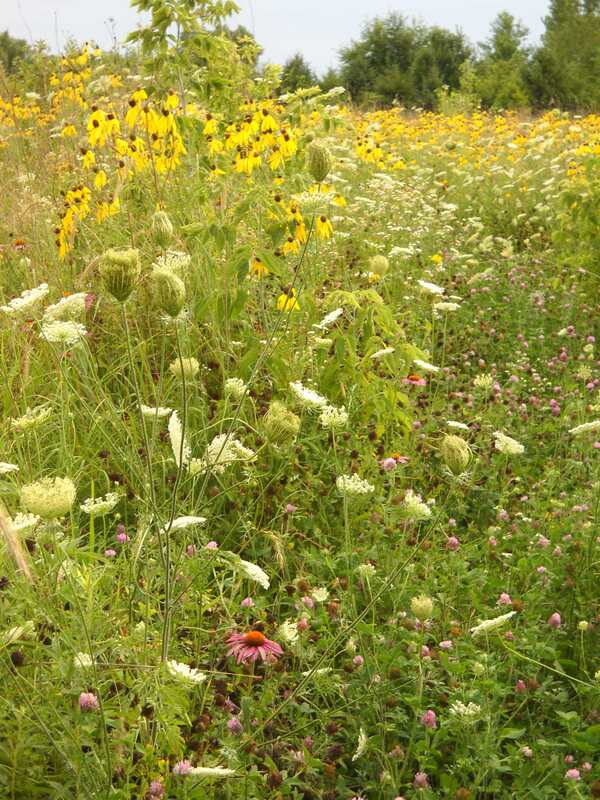 The wild flower prairie at Mom’s. This entry was posted on July 28, 2012 at 10:41 pm and is filed under travels, Vacation. You can follow any responses to this entry through the RSS 2.0 feed. You can leave a response, or trackback from your own site.